Three generations lived in the estate! Today it is a meeting place between history and culture. Rich with historical relics, agricultural equipment and for the bread making used by our family, they testify today the customs and traditions of the past. You will live a unique, different, unrepeatable experience! At "Cinque Vie" you will have the opportunity to deepen the culture and traditions of Ragusa. What does our structure offer? Find it out! Discovering the monuments that have become UNESCO world heritage. Which will lead you to discover the flavors of our millennial tradition. From oil to honey, from wine to cheese, to conclude with sweetness and chocolate and typical iblei sweets..
To bathe in the clear Iblee waters from golden yellow beaches or cliffs forged by the west spray. To step on the places of the Punic Wars, the ancient Romans between museums and open-air excavations. Among nightclubs, pubs, discos, ice-cream parlors and restaurants, without neglecting shopping. 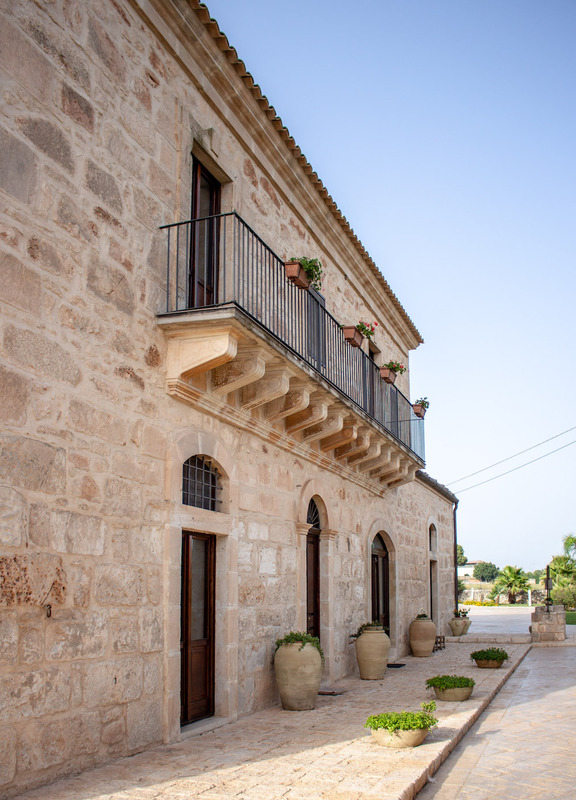 It belongs to our family for three generations, recently renovated preserves all the charm of the old houses in Ragusa. The estate is rich in historical relics that belonged to our family and used, once upon a time, in everyday life. Equipment used for working the land and for bread making, plows, sieves, baskets are just one example. Our guests can enjoy a splendid swimming pool and a solarium, immersed in the nature and tranquility of the Ragusan countryside. There is also a multi-purpose sports ground for those wishing to practice outdoor sports. The relaxation area and the sports field are also available for parties, receptions and private parties.